Recent ransomware campaigns targeted against healthcare organizations is evidence that ransomware purveyors remain unrelenting in their efforts to seize data for extortion purposes. Given the rapid innovation of ransomware developers, it becomes prudent for organizations to emphasize security awareness training, technology and good cyber hygiene. 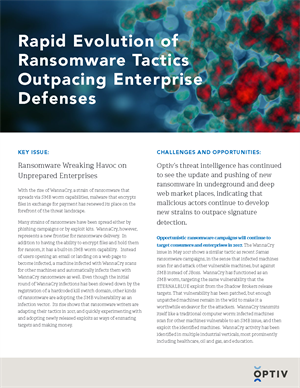 By doing so, enterprises can survive the ransomware threat.